Scubablu dive guides take people out nearly every day and help them get the best from the premiere dive sites in the Hurghada area of the Red Sea. 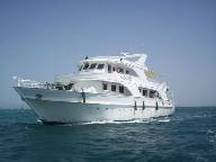 We use one of a number of well-equipped dive boats and offer superb prices that include two dives and lunch. Spend up to 14 days cruising around top dive sites. Live your diving dream aboard one of our superb boats and pick from an array of tours to suit all tastes and abilities. This is the best way to immerse yourself in scuba diving and is also very cost-effective. Do you get sea-sick on boats or are you just looking for a new challenge and a fresh perspective on diving? 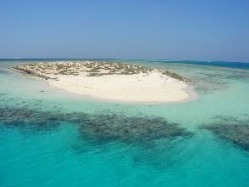 Scubablu Divers offer land diving tours of 1 or 3 days duration. 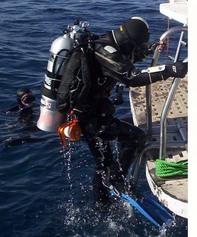 Scubablu Divers train and assess divers who wish to make deeper, more complicated dives. All aspects of planning, equipment, safety and decompression are covered in our range of courses aimed at divers who wish to take on a new challenge. Tech Diving requires a great deal of scuba experience, knowledge and discipline.